To redeem your exclusive discounted purchase please select the package below and add to cart. When checking out place the code you received in the "Apply Coupon" box on the Shopping Cart page. 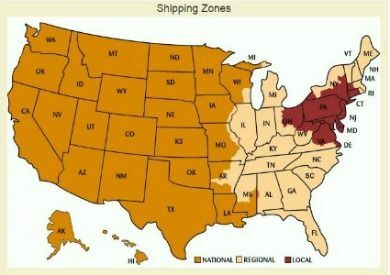 Packaging and shipping costs is included for local and regional deliveries ( see map below). Deliveries outside these zones will incur an additional $46.95 overnight air ship fee.